This Texas-sized sofa offers extreme comfort and is built to last! Because it does not disassemble - Gallery Furniture recommends you double check that there is enough room for delivery through doors and hallways. Ask our amazing furniture experts about this product's dimensions TODAY! A hardwood frame and huge, tapered legs provide extreme support. 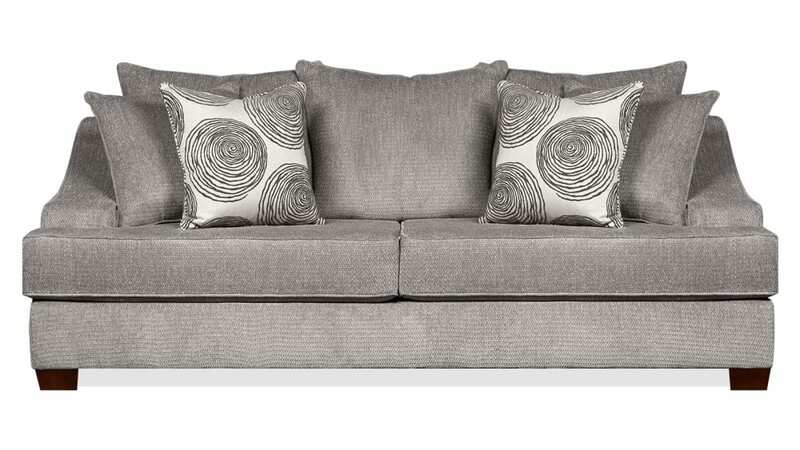 The large-scaled back cushions contain a blend of foam and fiber, for soft support and comfort. The seat cushions are dual-reversible, with foam cores wrapped in Dacron, for extended use and long-term comfort. Jumbo, race-track arms slope from the expertly-tailored back, all the way to the T-cushion. Colored a dove-grey, the upholstery is the latest generation of performance fabric. A sleek, modern look is emphasized by accent pillows that have a complimentary, contemporary pattern. 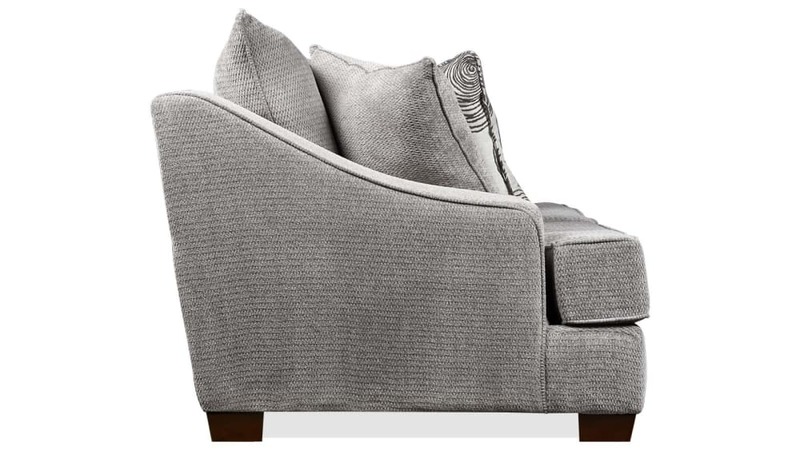 Complete this collection with the loveseat, chair, and ottoman!